Supports better sleep, a clearer mind, improved focus, and an overall feeling of bouncingly colorful, wonderful energy! Natural sleep support to relax at any time. The sleep DOT at the center of the mat radiates a natural energy signature to encourage and support sleep. sleep MAT: use this organic handmade mat when travelling or place under your pillow at night smart DOT: Stick to your wireless items, priorities: mobile phones, Wi-Fi, cordless phones, tablets, baby monitors etc. Would you like to sleep deeply and feel more refreshed in the morning? Radiation from WI-FI and our much loved gadgets interferes with sleep patterns. Keep your sleep mat close and enjoy much improved sleep, a sense of calm and greater resilience in today’s challenging environment. The hidden beauty of this comforter is the sleep DOT stitched between layers at the center of the mat. This DOT holds and radiates a soothing natural energy vibration which works with your energy field. Your field becomes stronger and so your body can relax and slip into deep nurturing sleep. These handmade sleep mats come in soft cream with the beautiful sacred geometry symbol of the Seed of Life stitched on the front. You have a choice of gold, silver, pale blue, pale pink, pale green or purple embroidery. Both sides of the mat are made from the softest organic brushed cotton. 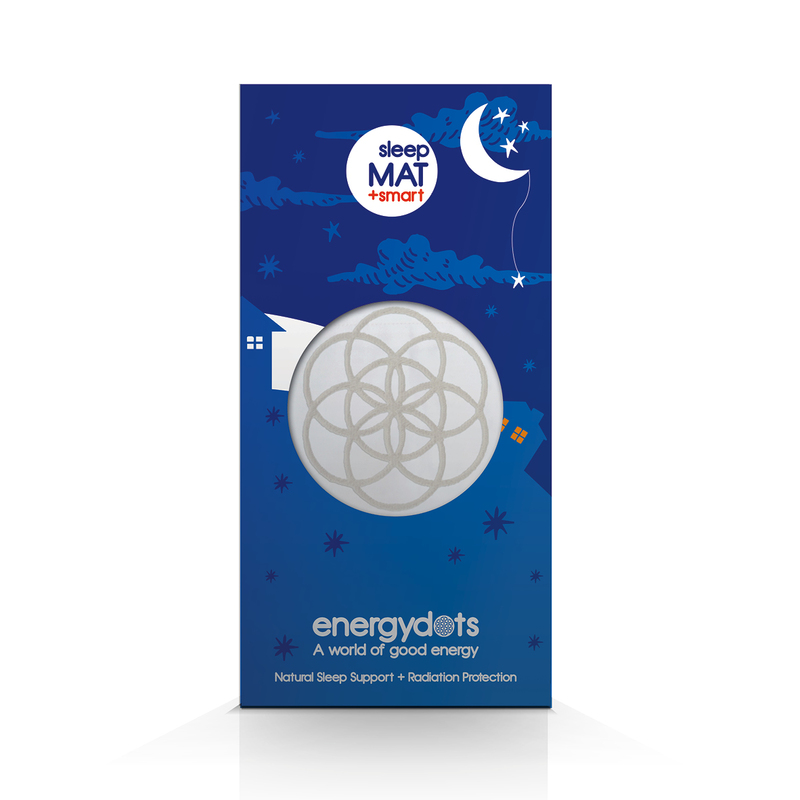 To further help with the energy interference from devices we have included a free smart DOT with every sleep mat. Use your sleep MAT to encourage deep and restful sleep at anytime or travelling. Suitable for adults, children and babies. Every sleep MAT comes with a smart DOT. Stick the smart DOT to your wireless items and stop harmful energy in its tracks – directly at source! smart DOT is programmed to harmonize or retune the electromagnetic frequencies from the electronic equipment you use regularly. Each cell in our body acts like an antenna, an extremely sensitive transmitter of electromagnetic radiation; the body will thus ‘pick up’ and react to any such field to which it is exposed. Retune these fields and enable the body to relax.